SHRED is pre-workout powder concentrate with several active ingredients and without added sugar! Performance, energy, increased alertness, more concentration – all in one product. 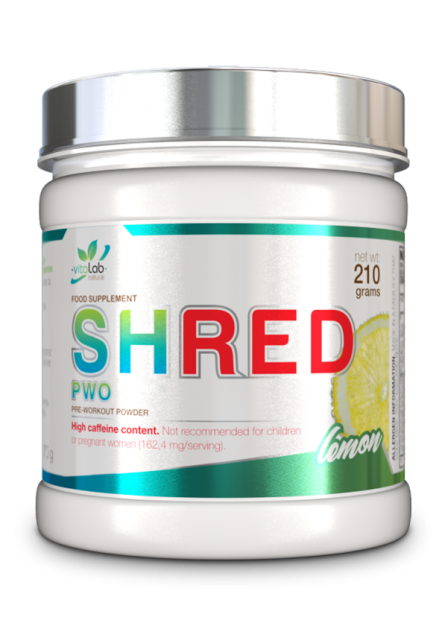 Mix 7 g SHRED PWO powder with 250 ml of cold water and consume it 30 minutes before beginning activity.